This edition of See My City is one that's close to home because it IS my home. We live in the Bankers Hill neighborhood of San Diego, so named because it was historically an affluent area and home to many of the city's wealthy families. Today, it remains a primarily residential neighborhood that enjoys easy access to Balboa Park, Little Italy, and Hillcrest. Amidst the historic homes, craftsman bungalows, and high rise condominiums, there are some great gems in the neighborhood that deserve to be highlighted. But let's start with the homes. The HH Timken mansion, in the Queen Anne Victorian style (1887). There are some lovely examples of Victorian architecture in Bankers Hill. The Timken mansion at the corner of First Avenue and Laurel is one of the finest. 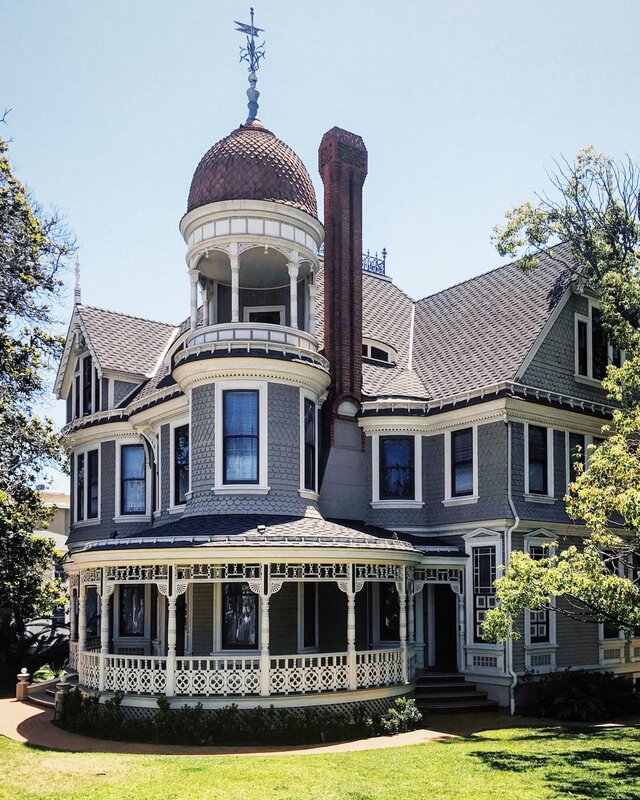 Built in 1887 for inventor Henry Timken, it remains a private residence. And although the tall hedges keep you from enjoying a full view of the home, you can always get a closer peak through the gates as you walk past. 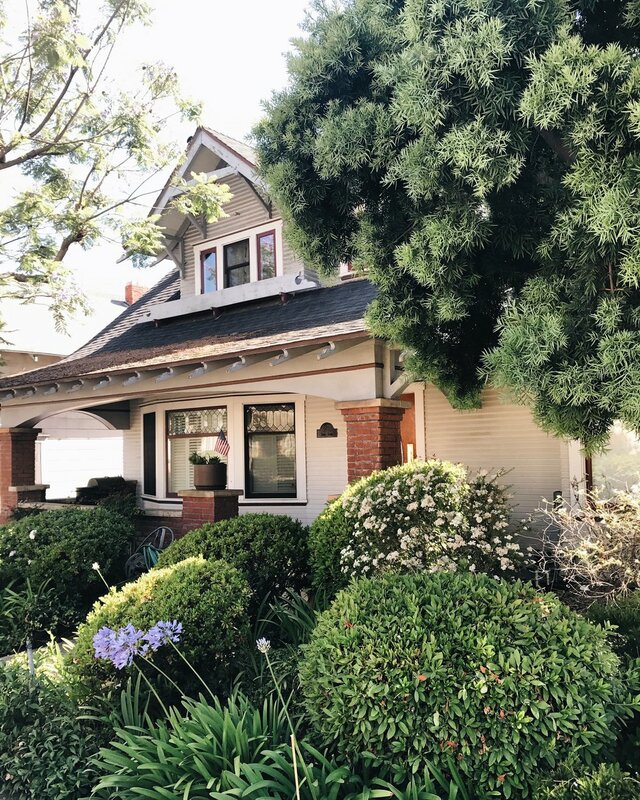 And while neighborhoods like North Park and South Park may be the epicenter of the Craftsman-style in San Diego, we have a few great examples in Bankers Hill, as well. Now let's get to some of those neighborhood gems, and let's start with coffee (because you should always start with coffee). A true Bankers Hill icon, Cafe Bassam serves some of the best coffee in the city, and its eclectic interior is a feast for the eyes. 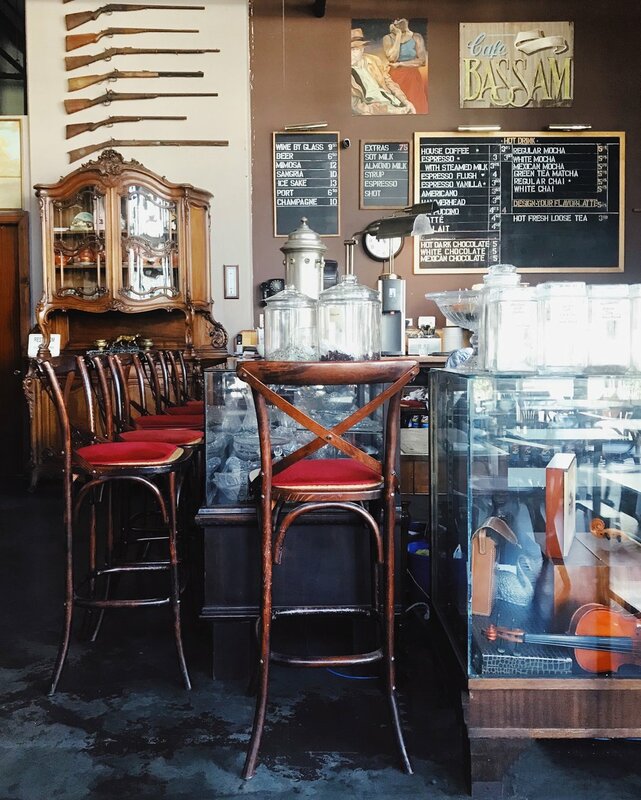 There's a reason why it feels like you are enjoying your latte in an antique shop - because you are. The cafe started as a store, and after customers raved about the coffee they were served while they shopped, the owners opened up the cafe, and I'm so glad they did. Cafe Bassam, 3308 Fifth Avenue, San Diego. For a more modern approach to coffee, visit the recently opened West Bean Coffee on the corner of Fourth and Laurel. The bright and airy space was a welcome addition to the neighborhood in 2017, and the fact that a perfect flat white is just steps from my front door makes this caffeine addict very happy. After you have had your coffee, how about a little bit of shopping? Bankers Hill does not have many retail options, so when Thread & Seed opened in 2017, it was a breath of fresh air. The shop sells a selection of well curated items from beautiful kitchenware to food to clean beauty products. It's a wonderful shop, and one of my favorites in the city. (Come to think of it, recent gifts from my mom, my husband, and my best friend have all come from here!) Thread & Seed, 2870 Fourth Avenue, Bankers Hill, San Diego. Since shopping can work up an appetite, you should know where to go for the best meal in Bankers Hill. Hands down, Cucina Urbana is the star of the culinary scene in the neighborhood. And while I only ever order the squash blossoms and bucatini, everything here is delicious. Trust me - I've tried everyone else's food! Cucina Urbana, located at the corner of Fifth and Laurel in Bankers Hill. One last gem to share with you: the Spruce Street Suspension Bridge. Located near the intersection of Front and Spruce Streets, the suspension bridge spans Sessions Canyon. It's not for the feint of heart - it wobbles ever so slightly and the floor of the canyon is 70 feet down, but it's a truly lovely spot. We had family photos taken here to remind of us of the special opportunity we have to live in Bankers Hill.